Michael Jackson fans have something to smile about, as a new posthumous album of the pop star's previously unreleased music comes out May 13, the Associated Press reports. Epic Records and the Jackson estate are set to release an album of eight new tracks that have been updated musically, titled Xscape. According to AP, L.A. Reid, executive producer, refers to the work as "contemporizing." The album will include work produced by Timbaland, Rodney Jerkins, Stargate, Jerome "Jroc" Harmon and John McClain. A deluxe version of the album will include the original recordings. While Reid is being tight-lipped about the upcoming release, he did say that the album is named for a track produced by Jackson and Rodney Jerkins. It's the only song on the album for which the original producer freshened the music, AP reports. 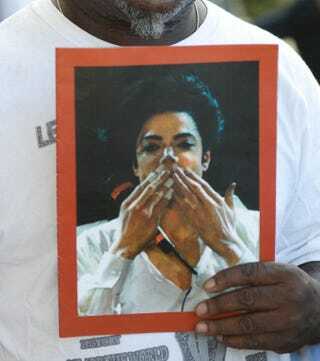 Jackson died in June 2009 from a lethal dose of an anesthetic. He was 50.